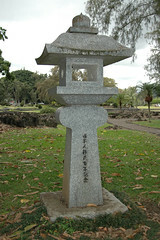 The continuing connection between the Hawai’i Japanese immigrant community and Japan was a matter of strategic concern from the beginning: The Kingdom of Hawai’i wanted to use Japan as a counterweight against US power; the Republic of Hawai’i used the threat of Japan — which was actively concerned about the treatment of Japanese in Hawai’i — to support the annexation of the islands by the US; in the Territorial era, disputes about immigration and about labor organization often involved the Japanese consulate.2 And it’s also true that the Japanese government considered Japanese emigrants to be an extension of the nation3 , and tried, in a fairly blunt fashion, to influence foreign opinion through the overseas communities. By the 1910s and 20s, discussion in the media and halls of power of the Hawaiian Japanese community as a potential “fifth column” was pretty common, and that view was also common on the mainland. It took an immigration ban, a war, Japan’s crushing defeat and entry into the US security system, and the “blood sacrifice” of Nikkei serving with distinction in the US military to overcome those fears, and transform the Japanese immigrant community and their descendants into simply “ethnic” Americans. So, a little over twenty years past the end of WWII, fifteen past the end of the US occupation, the centennial of Japanese immigration into Hawai’i could be celebrated with public monuments, publications and events. This history is why I was so disturbed to read about PRC policy which sees overseas Chinese as intelligence and lobbying agents. There’s a reasonable argument to be made — as Ichioka does — that Japanese government policy towards emigrants gave support to anti-immigrant attitudes in the US and elsewhere. It’s true that other governments treat emigres as resources to some extent, and urge their citizens overseas to represent the nation well, but the level of coordination, and open encouragement distinguishes pre-war Japanese policy and current PRC policy from the rest of the pack. I don’t think we’re on the verge of a “Yellow Peril” panic in the US at this point, but there’s no question that this has lead to serious negative consequences for individuals, and could lead to wider problems in the future.